History, nature and art are mixed in Parisian cemeteries. They are mysterious but stunning worlds where having a walk is as pleasant as it would be in a park in Paris. 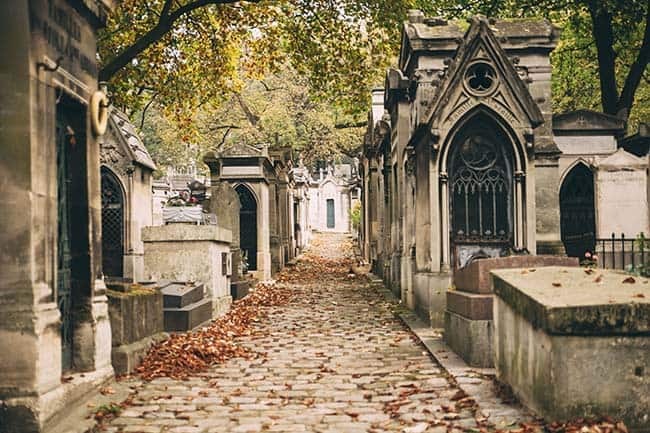 If you’re looking for a different kind of experience during your visit to Paris, walking in a cemetery is an interesting and one-of-a-kind idea. Some may find this creepy. Some may find this romantic. But one cannot say they aren’t fascinating places. Parisian cemeteries are both beautiful and peaceful. 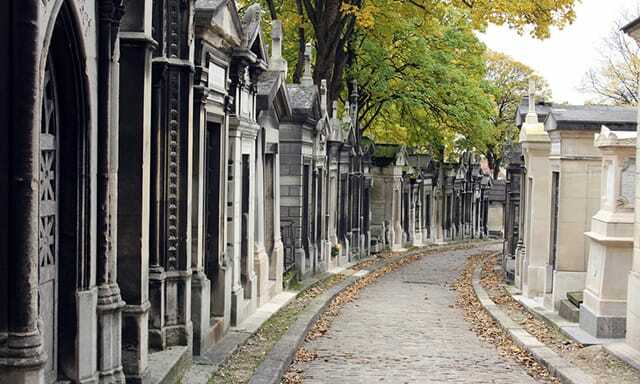 Read on to discover the secrets of Parisian cemeteries. 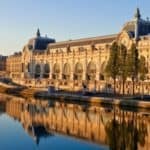 This is the most famous cemetery in Paris. Many celebrities are buried in the Père Lachaise cemetery and their graves are almost as famous as them! 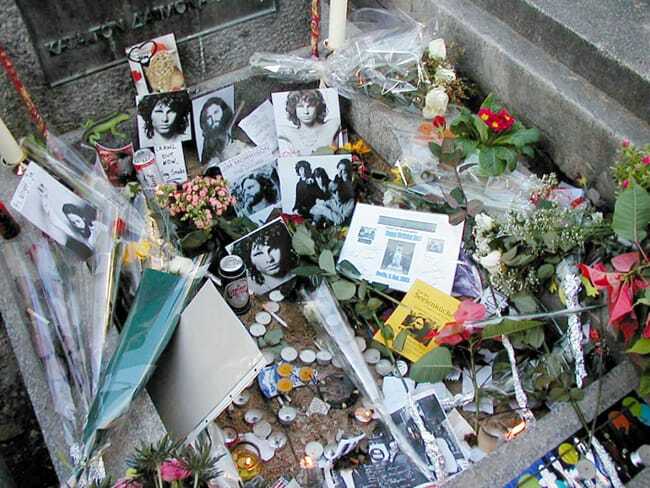 For instance, Jim Morrison’s grave was the meeting point of many young people who used to drink and smoke there while paying tribute to him by leaving some cigarettes on it. Today, Jim Morrison’s grave is surrounded by a fence and even the trees are covered but this doesn’t deter people from leaving some messages all around the grave! 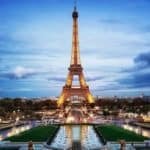 I would recommend you to get a guided tour to make the most of your visit and not to get lost in the huge labyrinth that is the Père Lachaise cemetery. 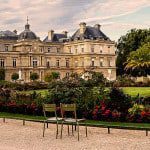 Montparnasse is one of the biggest parks in Paris. There are about 1200 trees that create a peaceful and green atmosphere. There are also lots of celebrities buried in this cemetery, especially French celebrities. The famous couple of philosophers, Jean-Paul Sartre and Simone de Beauvoir, rest in peace, as well as Baudelaire, the cursed poet (his grave is full of poems) and Charles Garnier, the Opera house architect. 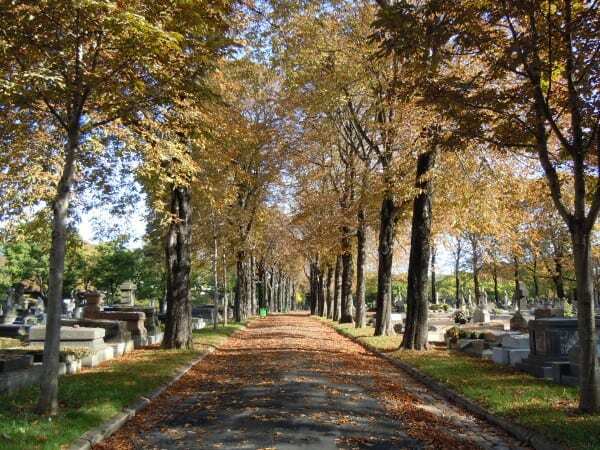 Finally, this cemetery is a haven of peace in a very busy quarter of Paris, just in case you are looking for a calm walk in a soothing place. 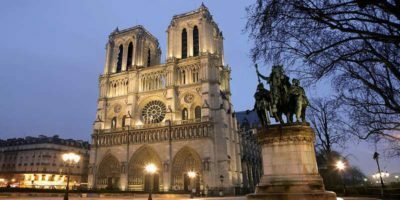 Montmartre is a fascinating place to visit. Indeed, as in Père Lachaise, there are some luxury graves and lots of details on the stones. If you pay attention, you will get an insight into family histories and probably terrible events. For instance, in Montmartre cemetery, there’s a couple buried with their little girl. They died at Treblinka during World War II. Besides this very touching side of the visit, the nature all around is amazing and makes the tour very pleasant. 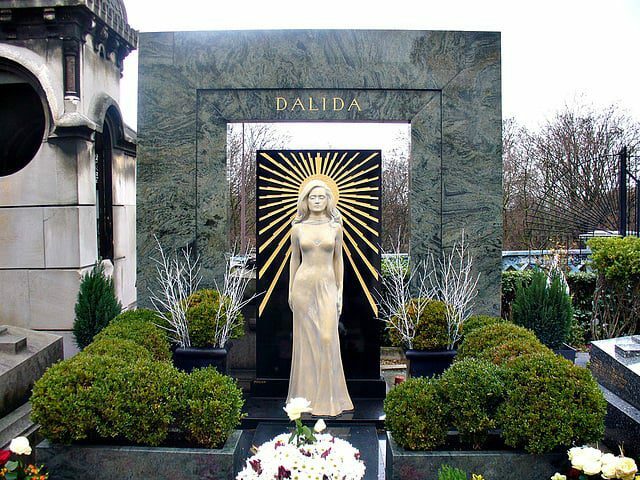 The most famous “monument” in this cemetery is Dalida’s grave, a famous singer in the 50’s and the 80’s. She’s basically our Marilyn Monroe! Every day, some flowers are left on it, to pay tribute to one of the most awarded female singers in France. 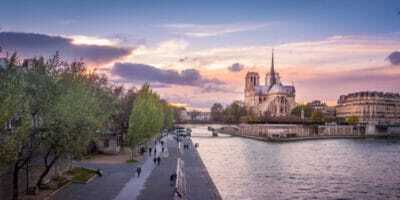 These three cemeteries are the most famous and the most visited in Paris. But read on to find out some more interesting cemeteries, which are less popular but just as great. 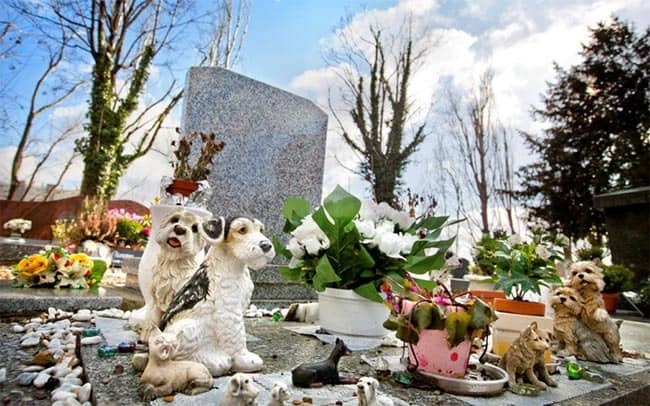 If you want an original experience, just go to a dog cemetery. When we lose our dearest companions, we often want a place for them to rest in peace. Throughout all their lives, our four-legged friends gave us tenderness and love. I love that there is a place where we can pay a tribute to them! It was built in 1899, and here many pets are buried as well as the more exotic animals like monkeys or lions… Today, it is a historical monument because of its picturesque, artistic and legendary aspects. This cemetery is opened only during the afternoon. Its history is very interesting: it is one of the four that welcomed corpses of beheaded people during the Revolution. 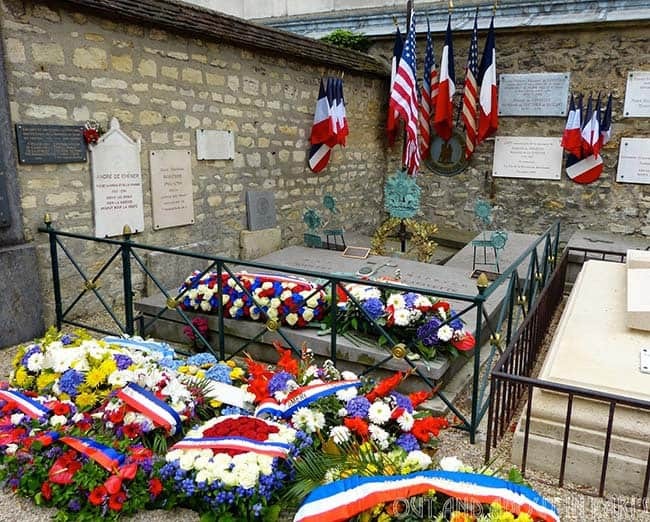 In addition, this is where La Fayette – the French hero of American independence is buried. 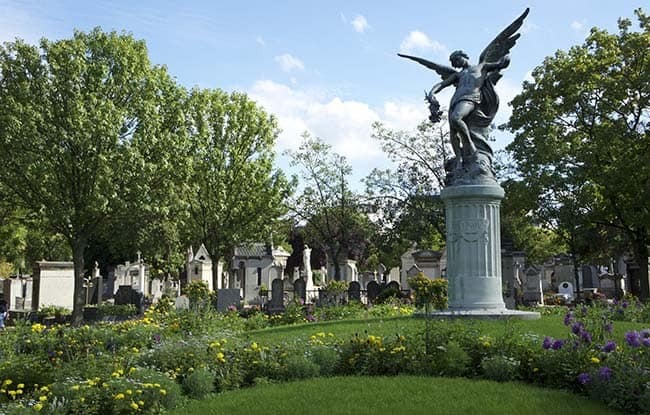 Batignolles cemetery is about 11 hectares: this is one of the largest cemeteries after Père Lachaise, Montmartre and Montparnasse. There are many French celebrities buried here, including writers, painters and soldiers. It is also a nice place to have a walk under almost 900 trees, which are mostly chestnuts. 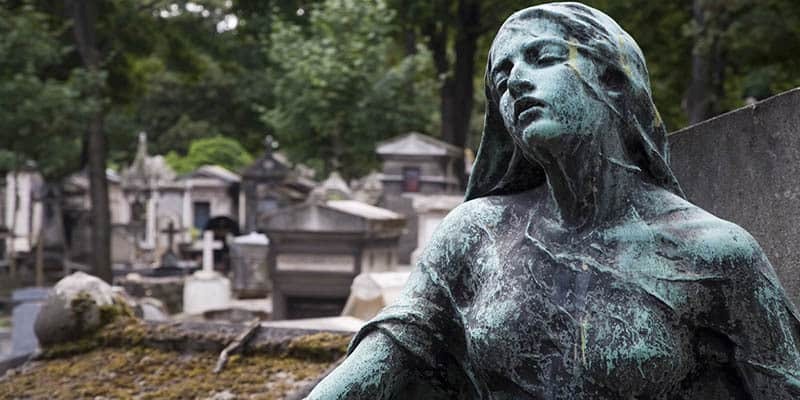 You now know some secrets of Parisian cemeteries! Some people are fascinated by death, others kind of fear it. Many philosophers have discussed the concept of death. It is one of the enigmas humans cannot get a right answer to. Cemeteries are quite interesting places. It makes one question the meaning of life. Whenever I find myself wandering a cemetery, I am a bit pensive. No one is immortal. What really matters is what happens during our lifetime. That is why it is so important to enjoy each day and do good! I hope you’ve enjoyed my article about secrets of Parisian cemeteries. I’ve shared a few with you, but there are actually plenty more that you will surely find out while visiting some of the cemeteries I’ve talked about! 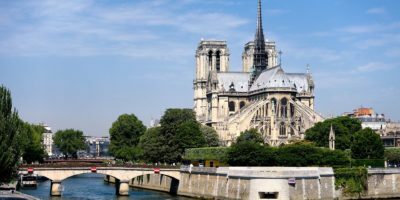 If you are looking to enjoy a walk in a place that is a little different from the usual, walking in Parisian cemeteries and trying to unveil their secrets is the best! Don’t hesitate to contact if you need further information about anything! 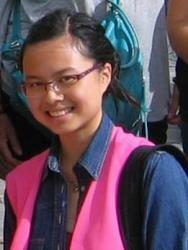 Camille is a student at Sciences Po Paris, taking political science and law lessons. 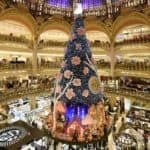 She wants to share her passion for Parisian history and art de vivre. 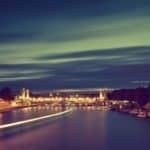 Even though she's a native, she is still amazed and often surprised by the French capital city's secrets. Book a tour with me.